Since this is a beginner’s blog forum, I wanted to share with you some tips I have learned along the way in my sewing journey. These are based from my own experience and opinion. I hope they are helpful to those of you thinking about venturing out into the world of fabrics and needles and those already experiencing this awesome craft. *I am not being paid by any of the third party links to promote the products mentioned in this post. These are all based on my personal experience. When I first started to sew, I wanted to sew everything I saw in the store. I actually tried a few things and completely overwhelmed myself. Do not start with knit, satin or flowing fabrics. Those types of fabrics require special techniques to sew and can get frustrating as a beginner. 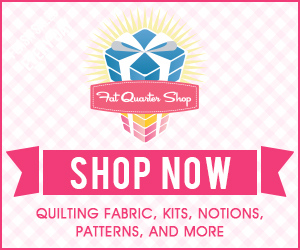 Start with quilting cotton which will maintain its shape as you sew and easy to manage. Here is a great tutorial on how to sew a simple pillowcase. My iron is the most used tool in my sewing room. I use it more than my sewing machine. Ironing every hem, fold and seam is critical to a successful project. When I first started sewing, I was in such a hurry to finish the project, I never bothered to iron a long the way. Since, I have been using my iron, my projects look much more professional and neat. Another trick is to use starch. I have never used starch before I learned how to sew. Now, I cannot imagine working without it. Starch gives your projects a crisp look. It helps keep everything into place while you sew and will make your sewing life a lot easier. My favorite starch is Best Press. Its a bit expensive but it last a while since you only need to use a tiny bit to get the job done. This was one of the mistakes I made when I first started sewing. In envisioned a thousand different things I wanted to sew and went on a shopping spree buying every sewing foot, colored thread, fabric and pattern I could lay my eyes on. Well, let me you…most of them are still sitting at home never used. I would recommend starting with one project at a time. Do not overwhelm yourself with multiple projects. If you still love sewing after a few pillowcases and simple skirts, move on to something more advanced getting the supplies for that specific project. This will save you a ton of money. For example, if you want to sew a shirt, buy the fabric, the color thread, the buttons and the pattern for that shirt. I cannot begin to stress how frustrating it can be to sew with the wrong type of needle! You don’t want to sew woven fabrics with ball point needles or jeans with sharp needles. If you are unsure which type of needle to get for your fabric, get the universal needle. It is not ideal but it will work for most types of fabrics you will starting out with. For thread, don’t get suckered into purchasing the cheapest thread. It will be really frustrating and time consuming when they break every few minutes and you have to keep re-threading your machine. Spend the extra few dollars and get some high quality thread. For my projects I use Guttermann thread. It rarely breaks and gives a strong hold! My relationship with my seam ripper is that of love-hate. I love that I knew I can rely on it when I mess up (which is very often) but I hate that I need to use it so often:-). Get a good seam ripper! As a beginner, you will mess up quite a bit. You need a seam ripper to open up the stitches so that you can redo where you made mistakes. Don’t feel bad about using a seam ripper. Even the most experienced people have them in an easy to reach spot. Here is a good seam ripper with a rubberized grip that I have at home. Love and hate it at the same time. Sharing your first project with others or making it as a gift for someone will really give you a sense of accomplishment and will inspire you to do more projects. This may seem like a no-brainer but I was always so intimidated to show people my projects for fear of criticism. However, if you show people that support you, their praise will go a long way in giving you the boost you need to continue your new hobby.